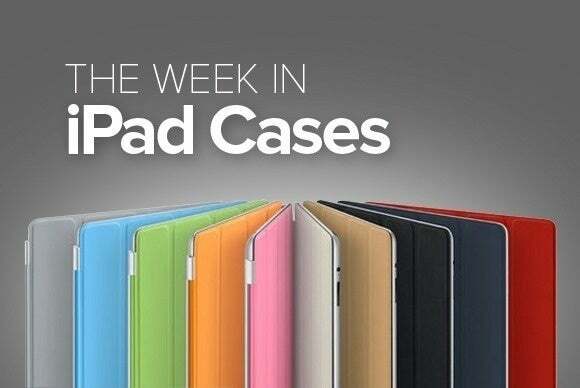 This week’s round up of new iPad cases brings you all kinds of interesting solutions that help you leave your MacBook at home—and quite a few options for watching movies or video chatting. 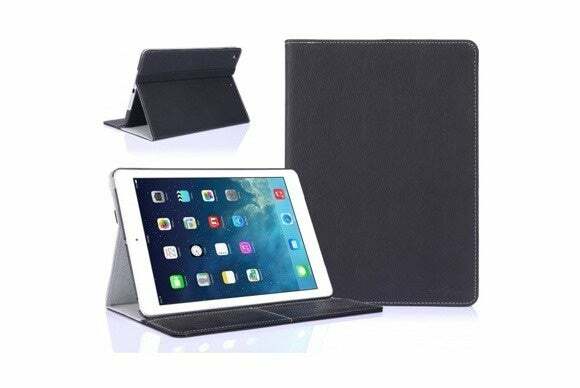 Form-fitting and slim, the case's cover is compatible with the iPad Air 2’s magnetic sleep/wake feature and lets you comfortably watch your favorite movies thanks to its two-position stand. If that weren’t enough, the Yippee even comes in 11 solid colors, so you have lots of options to choose from. 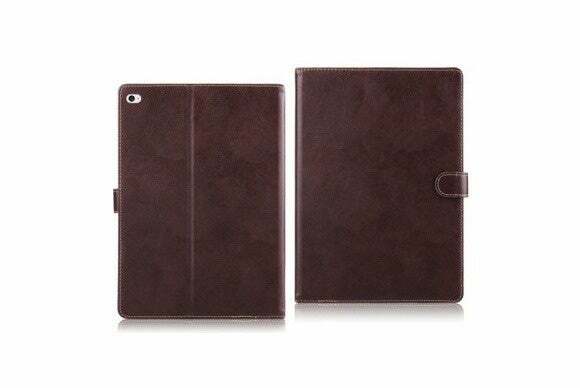 The Aged Leather (iPad Air 2; $31) keeps dust, scratches, and dents away with its durable, leather-clad hard shell. 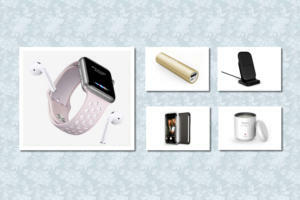 Want to take pictures easily without worrying about removing the case? 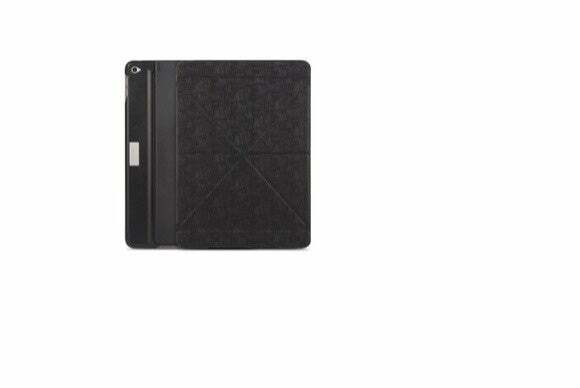 The Aged Leather sports precise cutouts to access all of your iPad's ports and buttons in jiffy, including its cameras. You can even fold it into a stand in landscape orientation, and quickly store some cash or credit cards in a pouch stashed away inside the cover. 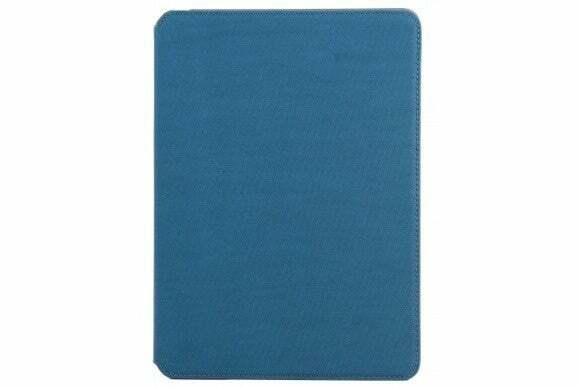 The Tek-Nical (iPad Air; $10) easily snaps on to your iPad and protects it from unforeseen hazards, sporting a pink or gray microsuede cover and plextonium backing. Scratch- and dent-resistant, the case includes a tab closure used to turn it into a stand with multiple viewing positions, and prevents damage to your screen with a soft lining inside the front cover. 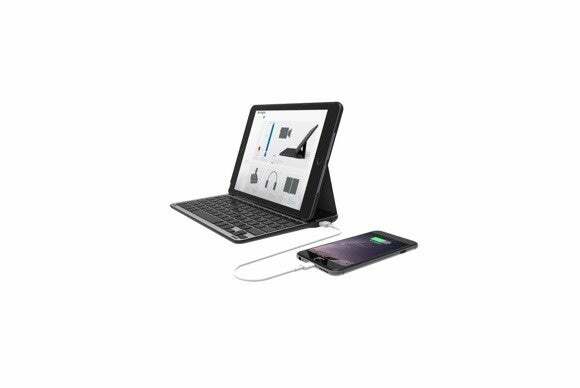 The KeyFolio Thin X3 Plus (iPad Air 2; $120) includes a Bluetooth keyboard with a powerful 4500mAh battery that can charge either your iPhone or your iPad though its USB port. 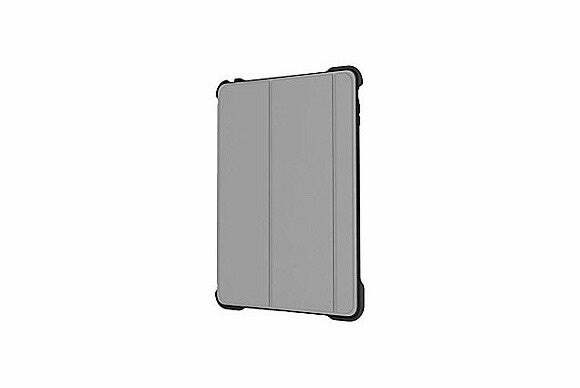 The case is compatible with the iPad Air 2’s magnetic sleep/wake feature and includes a magnetic closure to keep everything secure when you’re on the go. When you’re not in the mood for work, the ultrathin keyboard can be easily folded under the tablet to turn it into a viewing stand in landscape orientation. The Dual (iPad Air 2; $18) features a see-through design that places emphasis on protection without hiding your tablet’s natural—well, industrial—beauty. The case turns into a two-position stand in landscape orientation, and comes in a variety of solid colors, such as gold, blue, green, orange, pink, or purple. The Dual is also compatible with the iPad Air 2’s sleep/wake feature. 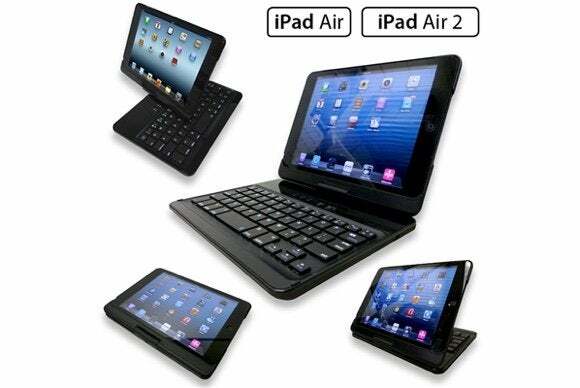 The VersaKeyboard (iPad Air, iPad Air 2; price unavailable) combines the functionality of a case with the convenience of a removable Bluetooth keyboard. 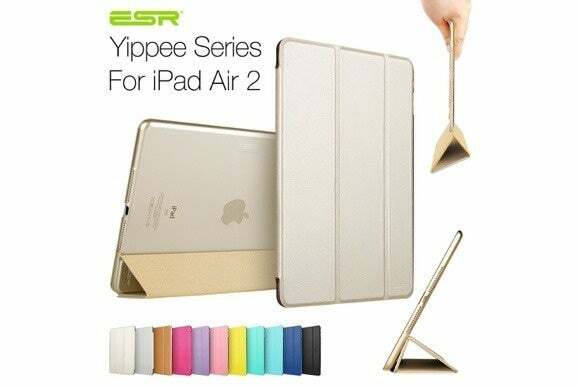 The thin, lightweight case turns into a stand that supports multiple viewing angles in both landscape and portrait orientation, and is compatible with the iPad Air’s magnetic sleep/wake feature. The keyboard slides easily in the back of the case for storage and includes a powerful battery with a LED power indicator that tells you when it’s time for a charge. The Base (iPad Air 2; $45) features all you need to protect your tablet while sporting a sleek, yet sturdy, book-style design. The case works great for watching your favorite videos in landscape orientation. 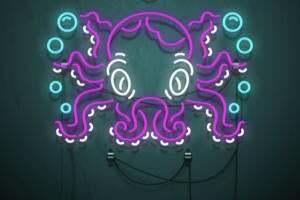 It automatically wakes up your tablet when you open the cover, and comes in blue, pink, or black. 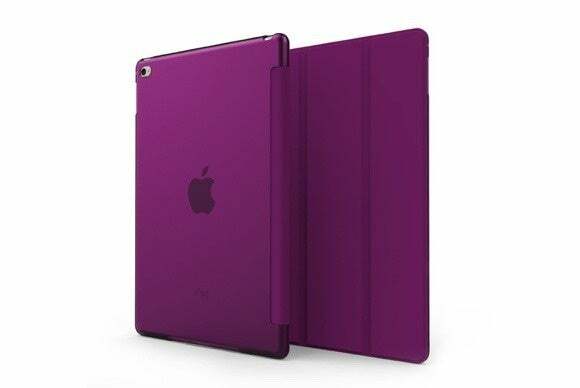 As its name suggests, the Flip Turn (iPad Air, iPad Air 2; $129) is a hard shell case with a built-in keyboard that can be folded in three different positions for an optimal user experience, regardless of whether you’re working, playing, or watching the latest videos on YouTube. The case is compatible with the iPad Air’s magnetic sleep/wake feature, and comes with a built-in stylus that helps keep your screen free of fingerprints. The Hard Shell (iPad Air 2; $20) provides all-around protection without blocking the iPad's buttons, Lightning port, and cameras. Made of premium vegan leather, the case folds into a stand in landscape orientation with multiple viewing angles, and includes a business card holder and an elastic strap that keeps everything tightly closed when you’re on the go.